You can easily check the ink supply level to determine how soon you might need to replace a cartridge. 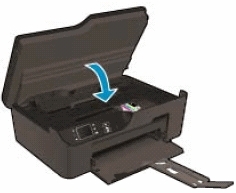 The ink supply level shows an estimate of the amount of ink remaining in the cartridges. You can check the estimated ink levels from the printer software or from the printer control panel. From the Control Panel home screen, which displays Copy, Scan, and Quick Forms, select Ink Levels. Then the printer displays the current ink levels. 2. In the Printer Software, click Estimated Ink Levels. 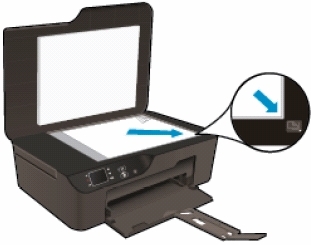 Which ink cartridges do I need for my HP Deskjet 3521 e-All-in-One series printer? For your US HP Deskjet 3521 e-All-in-One series printer you need HP 564 Black and HP 564 Cyan/Magenta/Yellow cartridges. There are also Combo Packs (4 cartridges in one pack) available, like the HP 564XL Black 564 Color Ink Cartridges Combo Pack. 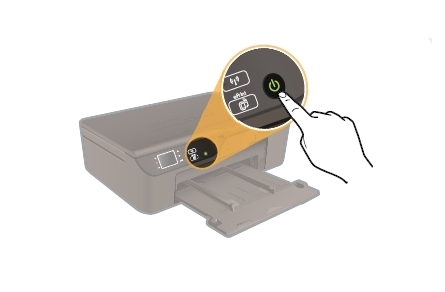 For your European or UK HP Deskjet 3521 e-All-in-One series printer you need HP 364 cartridges. There are also Combo Packs (4 cartridges in one pack) available, like the HP 364 Black, Cyan, Magenta, Yellow – Original Ink Cartridge Combo Content Pack – Standard Capacity. 2. Before you install the ink cartridges, load unused, plain white letter or A4-sized paper in the tray, if you have not already done so. 3. Open the cartridge access door. Grasp the handles on either side of the cartridge access door, and then raise the door until it locks into place. The carriage moves to the access area. Wait for print carriage to move to right side of product. 4. Press the tab on the front of the cartridge inward to release it, and then pull up on the cartridge to remove it from the slot. 5. Pull the orange tab to remove the plastic wrap from the new cartridge.
! Do not touch the copper-colored electrical contacts and ink port ! Make sure you remove the plastic wrap from the ink cartridge before installing it in the product, or printing will fail. When you remove the plastic wrap, the paper label on the top of the cartridge tears slightly, which is necessary to vent the cartridge. 6. Remove the orange cap from the cartridge. Twist the cap counter-clockwise until it snaps off. A forceful twist may be required to remove the cap. 7. 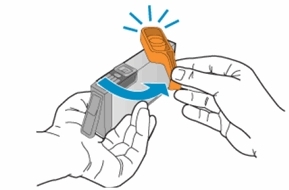 With the nozzle and the contacts facing down, push the cartridge into its slot until it clicks into place. Make sure that the color icon on the cartridge label matches the color icon on the slot. 8. 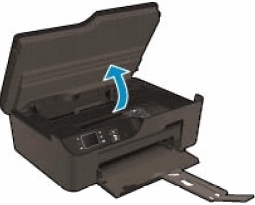 Repeat step 4 to 7 for each ink cartridge you are replacing. 10. After you load new cartridges and close the cartridge access door, the printer automatically prompts you to print an alignment page. a. On the product control panel, press OK. The product prints an alignment page. c. Place the alignment page on the scanner glass with the printed side down, and then position it on the front right corner of the glass. e. Press OK. The product scans the alignment page. f. Follow the control panel instructions to complete the alignment. g. Recycle or discard the alignment page. 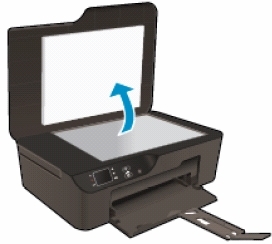 – In the Printer Software, click Print and Scan and then click Maintain Your Printer to access the Printer Toolbox. – The Printer Toolbox appears. – Click Align Printheads on the Device Services tab. The product prints an alignment sheet. – Go to step b.